Everyone cares about their individual wealth and many people spend most of their lives trying to accumulate wealth through gainful employment,activities, savings and investments.1 We often read sentences like that in financial magazines. It is true that we have a duty to work and provide for old age. However, while we are exhorted to invest, to analyse stock, to study the markets, few people give attention to the Bible as an investment brochure. The Bible is not unlike an invitation to invest in a security village with guaranteed health and retirement benefits. Think about it, that ‘Security Village’ (the renewed heaven and earth) will have no thieves or murderers, no water, electricity or internet problems, no funeral providers, doctors, hospitals, or old age homes, no insurance companies, no income tax, no weather problems which could influence food production, et cetera. It is right to exert ourselves, to invest in the world to ensure that we have enough money, and not to let go of our dream to live like a gentleman. But it is not profitable to do it like the rich man in Luke 12:15-21.2 He had such a bumper crop, that he decided to build bigger barns to store his grain and retire happily. He made just one crucial mistake: he forgot to invest in eternal life, because he did not think it was necessary. Maybe he believed what evolution teaches, that he is just another animal that dies and that is the end. Maybe he believed the stories of the skeptics that eternal life is just a pie in the sky. Maybe he was just lazy and couldn’t be bothered with religious stuff. Maybe he once belonged to a ‘church’ so he thought that was enough. He was tragically wrong and the devil heartily applauded. Jesus doesn’t give any indication in the Bible that you can just ‘accept Him and go to heaven.’ He said it is not the smooth talkers, but those who do the will of His Father that will be in heaven.4 It is about doing something, not just hoping for the best. Normally we understand: no pain (sweat), no gain; nothing in, nothing out. So why do some people think that is not true when it comes to the Kingdom of God? If it was fiction, it would not matter, but the Bible is about reality. That should convince us to invest in God’s Kingdom. Is it politically incorrect to insist that the God of the Bible is the only true God? People are offended when their gods are pushed aside. Yet God is not concerned to be politically correct. He says, I am the Lord, and there is no other; apart from me there is no God.1 Let us look how He proves that He is the only true God. He has a unique book. Consider the books of the various religions. Which one has a history book with times, places, people and events? The Bible is the only one that is filled with historical and geographical details that is the background of God’s dealings with His people. It makes the Bible a unique religious book, completely different from all the others. He has the power to create. The Bible begins with a short summary that God created the universe, In the beginning God created the heavens and the earth.2 Today many people laugh at that. As we will discuss later, there is compelling scientific evidence that creation is true. The Bible is very explicit, You alone are the Lord. You made the heavens, even the highest heavens, and all their starry host, the earth and all that is on it, the seas and all that is in them. You give life to everything, and the multitudes of heaven worship you.3 Thus the account of creation in Genesis 1 is crucial, and fundamental to the whole Bible, as we will discuss in later blogs. His message is very simple. It is not a maze. There are not five or twenty roads, but only one. Jesus declared, I am the Way, the Truth and the Life. No one comes to the Father except through me.4 This smacks of exclusivism. Nobody likes to be excluded, especially if there is nothing he can do about it. God knows He is the only true God, able to guarantee eternal life. In His wisdom He made it possible for all people to become part of His Kingdom, but through only one channel, Jesus. There is a continuous battle against Him. Isn’t it strange that there is such a massive amount of anti-Bible propaganda? Films often subtly mock God and His people, especially ministers. For example, ‘Cold Mountain,’ or even the excellent ‘Pride and Prejudice’ where the bumbling, self conceited minister is ridiculed. This treatment is usually given to no other religious book, god or leader, but only to God, Jesus, the Bible and ‘Christians.’ Bible Bashing has become a big, profitable ‘industry.’ Books with the intent to scandalise Jesus and the Bible, often sell by the millions. Jesus is depicted as a homosexual, married to Mary Magdalene, or fathered by a Roman soldier. Why? Because God’s enemy, the devil, doesn’t want people to know that Jesus is real, the Son of the only true God. The devil with his continuous battle against the God of the Bible proves that there is only one true God. He can make promises and fulfil them. He promised that the descendants of Abraham, Isaac and Jacob will live in Canaan (Israel). 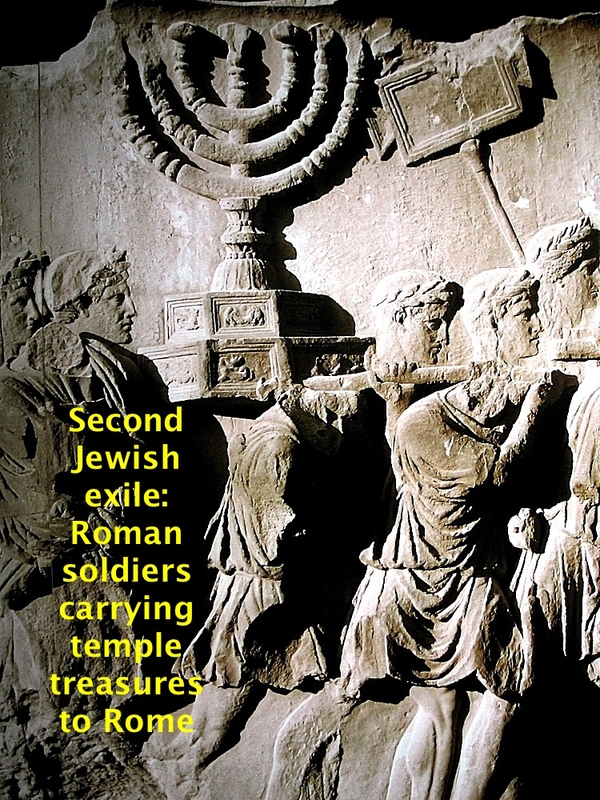 They were exiled twice (the last time in 70 AD under the Roman general, Titus), but they went back after 1,900 years. Today the Jews live in Israel, despite all the efforts to destroy them. Nobody can deny that the country of Israel belongs to the Jews. This is a unique prophecy fulfilled by the only true God. Conclusion. There are many reasons to believe that there is only one true, living God. The most important evidence is His unique book. God will only be dethroned as the true God if some other book surfaces with the same characteristics as the Bible. It has never happened and will never happen. Not the followers of Allah, the Hindus, Buddhists, Mormons, New Agers, or witchdoctors have books that equal the Bible. Author Gerard and AlidaPosted on February 20, 2014 March 9, 2014 Categories BibleTags God, true GodLeave a comment on One true God? Answer sceptics with the big picture. All 66 books of the Bible are necessary to answer sceptics. What do you know about the Bible? Is it only that Jesus came to die on the Cross to forgive your sins so that you can go to heaven (wherever that is)? Atheists question many things about this basic gospel message. They want to know who Jesus is, what sins are, and why the cross was necessary for God to forgive sins? They question the Virgin Birth and the Resurrection. If we do not understand the whole Bible from Genesis to Revelation, we cannot answer the questions of skeptics. The ‘gospel’ message is taken mainly from Matthew, Mark, Luke and John. Matthew is book number 40 in the Bible (if we count from Genesis). Is it possible to understand what a book is about if you begin in the middle? Of course not, because you don’t know the characters or the plot. That is why people usually read a book from page one. So why not read the Bible from the beginning so that you understand the character of God and His plan for man? If the Gospels is the only important part of the Bible why did the Holy Spirit, who inspired Scripture, include the Old Testament that is about 75% of the Bible? Does it not say explicitly, All Scripture is God-breathed [inspired] and is useful for teaching, rebuking, correcting and training in righteousness…?1 The word ‘all’ refers actually to the Old Testament, from Genesis to Malachi (39 books). So why read only the New Testament, if ‘all Scripture’ is good? Jesus Himself said that the Old Testament testifies about Him, These are the Scriptures [Old Testament] that testify about Me.2 If Jesus is important, very important, why is there a general lack of interest in the part of the Bible that testifies about Him? If you begin with Genesis 1 you will discover that the Bible is about the Kingdom of God. A kingdom implies a country, or a specific geographical area, a king and people who are the subjects of the king. God created that geographical area, In the beginning God created the heavens and the earth.3 We understand from Genesis 3 that God’s Kingdom plan will go by a circuitous road which will include Jesus as the main way to success. That is why Jesus spoke about the Kingdom. After His resurrection Jesus appeared to the disciples over a period of forty days, and spoke about what? His resurrection, tortures, love for man, or whatever? No, He spoke about the Kingdom of God, He appeared to them over a period of forty days and spoke about the Kingdom of God.4 Was it only Jesus who spoke about the Kingdom? No, John the Baptist as well as Paul preached about it. Here is a quote from Paul, speaking in Rome, For two years Paul stayed there in his own rented house and welcomed all who came to see him [he was a prisoner of the Roman government]. Boldly and without hindrance he preached about the Kingdom of God and taught about the Lord Jesus Christ.5 We see that he linked the Kingdom and Jesus. Thus the Kingdom is very important. To help us to effectively answer the questions of skeptics we need all 66 books of the Bible. We call it the big picture or flood light approach. If we concentrate only on the Gospels and a few other Bible books it is called the search light approach. With the search light approach you cannot understand the complete plan of God. To be able to understand God’s plan for man, we must begin at the beginning (the book of Genesis) and end at the end (the book of Revelation). Author Gerard and AlidaPosted on February 20, 2014 March 2, 2014 Categories Answering scepticsTags Bible, big picture, floodlight approach, ScepticsLeave a comment on Answer sceptics with the big picture.